1) Reach 1500 Exploration in Puretia. 2) Reach 1500 Reputation in Puretia. 3) Kill Tyranical Shadow Dragon King in Ash Catacombs. 4)Kill Moraku in Tangaroa Abandoned Mine. 5) Kill the Thunderous Ragewing Dragon King in Consus Cave. 1) Reach 1500 Exploration in Laedis. 2) Reach 1500 Reputation in Laedis. 3) Kill Spiny Suricrawler Dragon, Mutant Horn, Terminator and the Devouring Death Dragon in Juno Crystal Gallery. 4) Kill Aryna's Offspring in Aryna's Lair. 5) Kill Gaesis' Offspring in Gaesis' Roost. 6) Kill Nyrol's Offspring in Nyrol's Nest. 1) Reach 1500 Exploration in Wynnadia. 2) Reach 1500 Reputation in Wynnadia. 3) Kill Braddon's Nightmare, Mandry's Madness, Andrix Ladorno the Bling Fox, Koramos's Breath and Kronos'Phantom in the Accursed Tower. 4) Kill Abrel Tharn in Corzine. 5) Kill Feathered Razorspine Dragon King in the Nameless Keep. 6) Kill Zhagia Eyegouge the Witch Doctor in the Well of Prophecy. 1) Reach 1500 Exploration in Korhala. 2) Reach 1500 Reputation in Korhala. 3) Kill the Dragon Temple Guardian, Lokane Emberstorm, Undying Shadow and the Shadow of Hadubis and Yermizaar in Dunar Temple. 4) Kill Retching Rotshamler in Deyarka Tunnel. 5) Kill Hales Killhand in the Tanarkin Quarry. 6) Kill Andorlax in Aymori Sands. 1) Reach 1500 Exploration in Wintertide. 2) Reach 1500 Reputation in Wintertide. 3) Kill all bosses in Ironfang Fortress. 4) Kill Yodrak Elkcrown the Chosen in Yodrak's Thunder. 5) Kill Executioner Tarheed in Lodar Caverns. 6) Kill Lord Dromer Xion the Interrogator in Torran Prison. 1) Reach 1500 Exploration in Inartia. 2) Reach 1500 Reputation in Inartia. 3) Kill all bosses within Palace of Methus. 4) Kill Liere Arjak in Arjak Caves. 5) Kill Qanda Dribblesnout in Artenne Ruins. 6) Kill Kenaxian Defender MK3 in Veilar Grotto. 1) Reach 2000 Exploration in Alentia. 2) Reach 2000 Reputation in Alentia. 3) Kill all bosses inside Dragonheart Temple. 4) Kill Phordalog in Barlam's Lair. 5) Kill Entalar the Disembowler at Draconic Giant Outpost. 6) Kill Bloodboil the Pyromancer at Bloodstone Stronghold. 1) Reach 1500 Exploration in Olandra. 2) Reach 1500 Reputation in Olandra. 3) Kill all bosses in the Shrine of Handras. 4) Kill Screechgullet at Ironwing Lair. 5) Kill Mortin Kidd at Bloodlust Crypt. 1) Reach 2500 Exploration in Porthis. 2) Reach 2500 Reputation in Porthis. 3) Kill all bosses in Nucleus of Time. 4) Kill Zekriloth in Bladeguard Underpass. 5) Kill Desolar the Tyrant in Moran Cavern. 1) Reach 1500 Exploration in Thadrea. 2) Reach 1500 Reputation in Thadrea. 3) Kill all bosses in Asuma's Mirage. 4) Kill Crypt King Gallus Blackfang in Tonapah Tomb. 5) Kill Garyon Archay the Pincher in Mitclan's Corridor. 1) Reach 1500 Exploration in Sitheran. 2) Reach 1500 Reputation in Sitheran. 3) Kill all bosses in Racmon Grotto. 4) Kill General Miroth the Spanner in Miroth Fortress. 5) Kill General Feshawt the Bright in Black Tower. Get sent to Droan Village by the main quest line of Bakra, Puretia or Satuma. Defeat Wenda Zindrel in the main quest line for Laedis. Find the prophecy of Warthorne in the main quest line for Wynnadia. Find out about the Wretched Bonemarrow Dragon in the main questline for Korhala. Defeat the King of Cold Iron Giants during the main questline of Wintertide. Liberate the fire dragon's soul during the main quest line of Inartia. Defeat Urukar Hexclaw from Alentia's main quest line. Defeat Handras the Indigo Fog from Olandra's main quest line. Defeat Sardok the Inevitable in the main quest line of Porthis. Assist Marvos in opening the Dimension Gate in the main quest line for Thadrea. Assist the allies in battle until you enter Black Tower in the main storyline quest for Sitheran. Capture Ember Spark, Silverthorn, Alabaster Sailhorn and Solar Eclipse. Enter Fafnir Domain and defeat Fafnir the Venomous. Acquire Alewen's Keystone and enter Fafnir's Domain. Enter Fafnir's Domain and open his treasure chest. Drink at least 40x Breath of Handras. Read Reginald's diary and gave it to the Wayfarers. Proceed with Fafnir's quest until all related Achievements have been completed. Eaten Full Moon Cookie Aunt's Full Moon Cookie 10 times. Capture Recursive Nightmare, Hazul the Swirling Flame and Fyonorr. Capture Skeleton, Flesh Puppet, Ghoul and Zombie by using your own trap. Capture Lich,Tomb Eater, Abyssal Knight abd Crypt Looter by using your own trap. Capture 20 Skeleton, Ghoul, Flesh Puppet, Zombie, Leach and Crypt Looter by using your own trap. Successfully captured all monsters of the Abyss of Exile within 20 minutes. Capture Scarlet Bloom, Oındigo Stone, Verdant Fin and Crimson Thorn. Find Icestone Walker, Balthon Archer, Gupa, Gaelia Guard, Moran Maurauder, Moran Wanderer and Moran Gatherer. 1) Read the book of the Fugitive of Oziak at least once. 2) Successfully obtain Diary of Dog Star's Damaged Pages at least once. 3) Successfully dig out Dog Star's Treasure at least once. 1) Successfully obtain Ancient Porcelain Shards at least once. 2) Successfully obtain Complete Ancient China at least once. 3) Successfully dig out Lundahl's Treasure at least once. 4) Successfully capture Guardian of Lundahl at least once. 1) Successfully obtain Barbarossa's Keepsake at least once. 2) Successfully obtain Barbarossa's Letter at least once. 3) Successfully obtain Barbarossa's Key at least once. 4) Successfully open Barbarossa's Treasure at least once. 1) Successfully obtain Gemless Necklace at least once. 2) Discover any of Azores' Gemstones at leat once. 3) Successfully dig out Azores' Treasure at least once. 4) Succesfully kill Azores at least once. 1) Successfully obtain Severite's Skull Fragment at least once. 2) Successfully obtain Complete Situoyasite's Skull at least once. 3) Successfully dig out Severite's Treasure at least once. 4) Succesfully kill Severite at least once. 1) Speak to Fuzora at least once. 2) Successfully obtain Wotark's Ring at least once. 3)Successfully obtain Caromund's Magic Potion at least once. 4)Successfully obtain the Skeleton Key at least once. Meet the Remnant Moon Travelling Merchant for the first time in Auratia. Encounter the Remnant Moon Travelling Merchant 50 times. Collect dragons from 15 of the families in the Dragon Compendium. 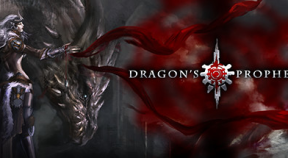 Obtain 300 Dragon Stars in the Dragon Compendium. Successfully capture 200 different dragons. Win against 300 different species of Dragons in the Dragon Arena and Auratian Championship. Use 300 different species of Dragons in the Dragon Arena and Auratian Championship. Complete any stage of the Column of the Prophet 1000 times. Acquire a Column of the Prophet related blessing 100 times. Use a Column of the Prophet ralated trompet 100 times. Locate all easter eggs in Heavenly Eyes. Capture Phantom Stone, Green Hermit, Son of Tyre and Silver Wings. Obtain 4000x Pinata Candy from Pinata. Attend the ball and obtain a score of more than 100 points 90 times. Obtain Ancient Shadow Flags 10 times at the finishing point in the Capture the Flag competition. Successfully obtain the Ancient Shadow Flag. Capture Magical Silver, Mountain Traveler and Tonapah's Shadow. Assist fellow new guild member and kill 10.000 monsters. Assist any new member of the same guild above Level 60, and kill 250 dungeon boss on hard difficulty. Complete any stage of Column of the Prophet 1.000 times. Achieve S Rank during the event Dragon Parade Festival 10 times. Achieve D Rank during the event Dragon Parade Festival 70 times. Successfully set off Sacred Fireworks 100 times. Capture Death Phantom and Twinheads. Accept Entrance Exam quests from Arteicia Ethics Committee Chairman and finish all quests relevant to Entrance Exam. Proceed with the quest Sad Demented Fategazer Dragon received from Arteicia Ethics Committee Chairman, until you have completed all Sad Demented Fategazer Dragon related quests. Proceed with the quest Goblin's Trouble received from Arteicia Ethics Committee Chairman, until you have completed all Goblin's Trouble related quests.